Seagate has launched its 4TB Kinetic hard disk drive (HDD), claiming the combination of open source object storage protocol with ethernet connectivity eliminates multiple layers of legacy software and hardware infrastructure, in turn reducing total cost of ownership (TCO). “Cloud service providers (CSPs) are increasingly looking for solutions that will simplify infrastructure, improve scalability and reduce costs – Kinetic HDD addresses these needs," said Seagate's vice-president of marketing, Scott Horn. 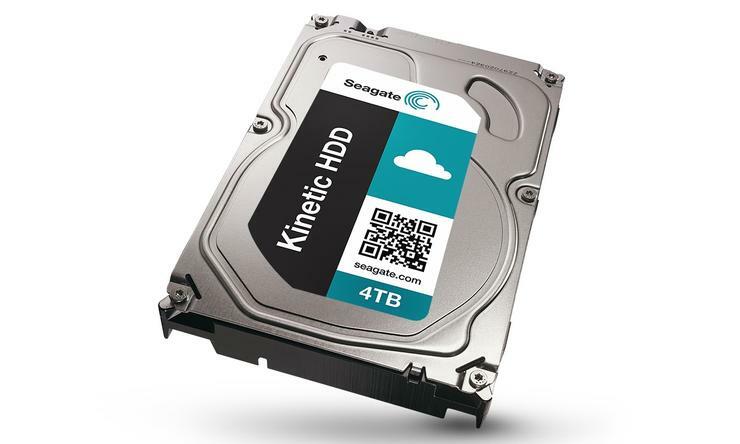 Kinetic HDD is based on Seagate’s Kinetic Open Storage platform which it introduced in 2013. The platform promises to improve drive and rack-level performance by eliminating the need for legacy file systems and shifting HDD storage media space management to the drive itself. Both Kinetic HDD and the platform are being demonstrated at its OpenStack Summit Paris 2014 from today. Seagate claims it also simplifies large-scale storage architectures by eliminating overhead of a full storage server tier, in turn lowering equipment costs. Fewer numbers of storage servers results in lower power consumption and headcount expenses. Combined, the vendor estimates savings of up to 50 per cent. “The Seagate Kinetic Open Storage platform is a compelling technology that has the potential to empower datacentres with more scalable solutions at an industry-low TCO,” IDC storage and semiconductors group vice-president, Dave Reinsel, said. AOL, a Seagate customer, said it will use the platform to help improve datacentre efficiency by reducing the number of servers required to store data for modern scale-out operations. “The addition of Kinetic devices to the storage environment creates architectural flexibility when deploying systems,” AOL storage operations chief architect, Dan Pollack, said. Hewlett-Packard is also working with Seagate in its work on ethernet-connected drives. "We focus on continually driving meaningful innovation in big data solutions and believe Kinetic technology could have a significant impact on the way data intense applications operate in the future,” HP modular compute and storage director, Jimmy Daley, said.